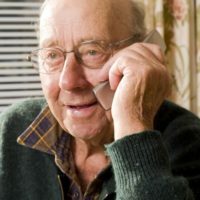 Elder fraud has become an epidemic among senior citizens, and as unfortunate as it may be, scam artists view your elderly parents as easy targets. Since elder fraud often goes unreported, the exact figures are unknown, but it is estimated that over $40 billion is stolen from senior citizens in the U.S. each year. While law enforcement is making strides in protecting against elder fraud, it is difficult to bring the perpetrators to justice since their trail usually leads to a dead end as schemers move on to the next fraud. It is important for caregivers to help their elderly loved ones protect themselves against fraud. The following list provides an outline of what the elderly should do to avoid becoming victims of fraud. Posted on: June 28, 2018. Caring for our loved ones not only comes with caring for their physical needs, but, also their financial needs. Being knowledgeable about what elder financial abuse looks like, will keep their finances protected as well. Posted on: April 18, 2017.